The annual conference is almost upon us and really does look set to be the best ever. Although the Thrive Training is now fully booked, there is a great deal more going on. Rob Hopkins has been busy teasing out previews of what will be going on with a series of podcasts – 14 so far and still counting! One of the key workshops at the conference will be ‘The Potential of Localism to Unlock Transition’, which will explore the new tools now available to communities due to the localism agenda and what could be done with them. One of Saturday’s workshops is called ‘Bringing power to the people’, and it looks at community energy companies and their potential. ‘Turning local food initiatives into social enterprises’ will be presented by Julie Brown of Growing Communities in Hackney, Josiah Meldrum of Farmshare CSA in Norwich and Jon Walker from the Green Valley Grocer in Slaithwaite. Transition’, the Transition Learning Journey. On the first day of the main conference Shane Hughes and Fiona Ward will be presenting a workshop about the REconomy project. Creating a new economy for Transition Town Anywhere (and the mystery of the 384 small blackboards). One of the highlights will be the Transition Cabaret on the Saturday night. It will feature James Marriott of Platform, actor and performer Ben Mellor, the social arts project In Your Own Skin with live vocals from Juliette Russell, performer poet Kate Tempest, live music and dancing from Holly Molly and the Crackers, as well as other treats yet to be confirmed. It will all be hosted by the “not only funny, but tender and true” (The Guardian) Matt Harvey. On the Monday following the 2012 Transition Network conference, Hal Gillmore of Big Green Canoe will be leading ‘The Brixton/Belsize Tour’, which visits those two London Transition initiatives. You’ll experience the Brixton Pound (arguably the coolest bank notes in circulation, anywhere), the Remakery (formerly Brixton Reuse Centre), Community Draught Busters and Brixton Energy, as well as a range of Belsize Transition happenings, including some great urban permaculture plots, such as a food garden in the carpark of a Premiere Inn. You will need a Zone 1 and 2 Travel Card, and the whole thing is being run on a donations basis. A fantastic and inspiring way to wind down after the conference. Not forgetting the venue itself which is looking forward to welcoming us back to BAC (sorry!) Artistic Director at BAC David Micklem was interviewed by Rob who asked him about how the 2009’s Transition Network conference had impacted on BAC, and his hopes for this year. The wonderful Social Reporters will be reporting from the conference as well as reflecting afterwards. Their content will be uploaded to the Social Reporters/Stories section of the TN website using the tag tnconf2012 in their posts. Likewise on Twitter the hashtag is #tnconf2012. What exactly do Inner Transition Groups Do? Striking a balance between nurturing a child and trying to take some responsibility for the world they will inherit. ‘Staycationing’ in Sheffield getting in the first harvest from the Sheffield Organic Growers. The ‘No to Costa’ campaign finds that while all politics is local not all local politics is democratic. You don’t know how great this sort of trading feels until you’re doing it! This year I realised something amazing. If you plant seedlings outside in the soil and it rains all summer, even if you give up completely, plants will grow and grow. A glimpse of what the future might feel like once we shed our conditioning, and start to tell our stories around the fire and let the trees in. By the age of four a number of children could give their future teachers a lecture on sustainable living. But they don’t…. Back to school? Not this Time! It is my intention to stay away from the classroom and to develop a much more physical relationship with nature. We are taught that control of the mind is always more important than real-life experience. Do We Need to be Educated in Personal Resilience? The tool I know however like the back of my hand is Street-by-street behaviour change, which we called Transition Circles. One of the Transition Ingredients from the Connecting stage is called ‘Involving the Council’ which often ends up about being about the relationship with people. The lack of interest from all of us is the problem. My 50 year old self unable to resist a bounce on the trampoline in her garden. But obviously not unobtrusively enough. A packed weekend of talks, workshops, stories, open fires, fun and so much more. From 2nd October (Gandhi’s Birth Anniversary), to 16th October (World Food Day) the Global Alliance for Seed Freedom is planning intensive actions to create a global citizens’ response on the issue of Seed Freedom that we hope will act as a wake up call for citizens and governments. 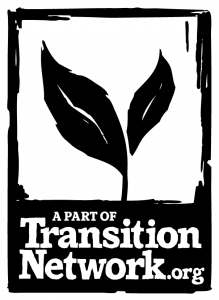 The third open meeting of the Transition Research Network, on community energy. Attendance is free and open to all, and ESMW can reimburse travel and accommodation expenses. Hear about progress in the field by community and regional initiatives that are helping people to realise renewable energy options right now.